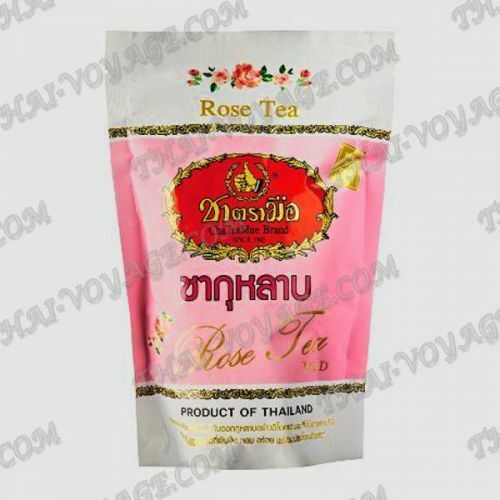 Thai fragrant green tea with rose petals has a pleasant delicate taste and detox effect, refreshes and tones. Manufacturer of Thai green tea with a rose-known in Thailand tea company Siam Tea Factory, founded in 1945. Thai pink tea has a pink hue, it can be used both hot, with milk or without, and in the cold version with ice. - You can drink tea hot, you can add milk or condensed milk – it will emphasize the delicate pleasant taste of pink tea and ice, if you need a refreshing version of the drink.